After a lemonade stand was shut down by police last year, Colorado lawmakers are considering a bill to relax the laws on kid-owned businesses. However, not everyone supports it. DENVER — In a small committee room on the third floor of the Colorado State Capitol, kids squirmed around in their chairs waiting anxiously for their chance to testify. Knowles said the lemonade stand was not only meant to teach her sons about hard work, managing money and customer service, but it was also a chance to teach them about charity since all of the money went to Compassion International. She said she never thought a small lemonade stand would turn into a big political issue, but she’s is using this as another teaching opportunity for her sons. From a small business venture, the family has now managed to raise more than $8,000 for the charity through different events and a GoFundMe. At the hearing Monday, the National Federation of Independent Businesses, South Metro Denver Chamber of Commerce and others spoke out in support of the bill. The Colorado state director of NFIB said he’s sad a bill like this has to be created to protect kids, but he’s in full support of it. “That’s what the lemonade stand teaches a 12-year-old or an 8-year-old — is how to be an entrepreneur and it teaches some business skills that they’re going to keep and build upon their entire life,” said Tony Gagliardi. Gagliardi said he’s spoken with numerous NFIB members and has not heard anyone speak out against the bill. He said he believes not enough kids these days are learning the business skills they need to succeed. “I would love to see 15- or 16-year-olds that could read a profit or loss sheet or a balance sheet — that’s what we need to be teaching these kids,” he said. SB19-103 has already earned bipartisan support. It passed out of the Senate committee with a unanimous vote. The bill limits who qualifies to run one of these permit-skirting businesses, however and how often they can operate. Under the current version of the bill, only people 18 and younger can operate one of these businesses and they are limited to running 84 days out of the year. There are also rules limiting where they can operate. The bill says these businesses must be located, "a sufficient distance from a commercial entity, determined by the local government, that is required to obtain a permit or license from the local government or an agency of the local government to prevent the minor's business from becoming a direct economic competitor of the commercial entity." However, lawmakers who co-sponsored the bill said the point of it is to encourage these kids to try their hand at business and see if it's something they want to pursue. “These kids they not only learn about money management but they get their people skills they get their financial skills and I’m very excited,” said Senator Angela Williams. Republican Senator Jack Tate, a small business owner, stopped by the stands the young entrepreneurs set up at the Capitol Monday to show off their creations. Gov. Jared Polis, an entrepreneur in his own right, also spoke with the kids about the struggles of starting a small business. This bill teaches kids about the legislative process and how laws are created. Senator Williams said the bill won’t cost taxpayers any money, but it will help these kids in a tangible way. “I think we should be encouraging entrepreneurship and not discouraging it,” she said. Colorado is just the latest state to take on a bill to protect the rights of kids. Last September, the city of Denver passed its own ordinance to allow kids to operate their own beverage stand without needing a permit. That ordinance was modeled after similar legislation in Austin. Denver’s, however, is limited to kids selling lemonade, coffee, tea and hot chocolate. New Jersey, Utah and Wisconsin have also made similar moves to protect young business owners. Meanwhile, Country Time Lemonade started a legal defense fund over the summer, offering to help pay for the legal fines and permitting fees kids face in operating their lemonade stand. Online, however, the reaction was mixed. Some Denver7 viewers questioned why the government need to have a hand in these small businesses. “Why does everything got to have a law on nowadays,” one woman wrote. Another person wrote that we need less government, not more. "Tell the children to sell the cups for $1 and it comes with free lemonade,” he continued. One woman said there is too much government involved. “Get a grip! Let children learn to earn,” she wrote. Meanwhile, others questioned if this is really the best use of legislative time with a teacher strike underway and other major issues for lawmakers to decide upon. 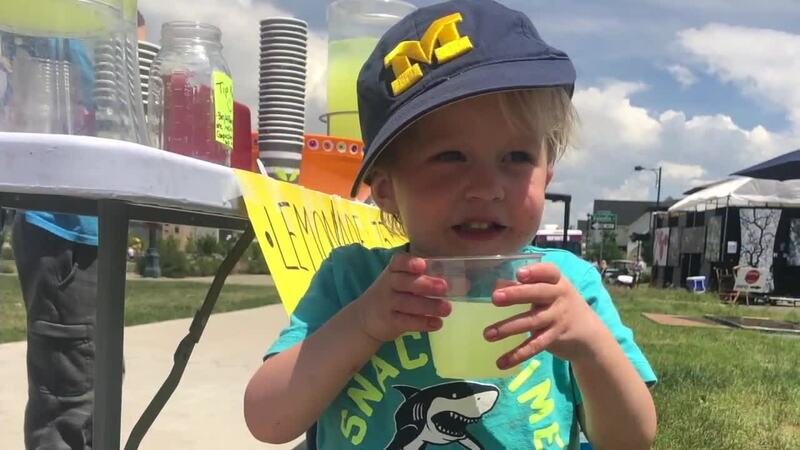 “Thanks for wasting our tax dollars on a bill to allow toddlers to sell lemonade that usually ends up costing the parents money,” wrote one Denver7 viewer. Another wrote that the bill is a "total waste of time." “Absolutely it’s the best use of our time," she said. "We need to be educating our kids and teaching them." A lone opponent spoke against the bill during the committee hearing Monday. Jack Bonneau is the founder and CEO of Jack’s Stands & Marketplaces and a young entrepreneur himself. Bonneau appeared on ABC’s Shark Tank in 2016 to present his business venture to a group of investors and walked away with a $50,000 loan for his business. All of Bonneau’s stands are permitted and licensed. He believes there are health and safety aspects the bill does not take into consideration. “Kids are known to be germy and messy, so they’re touching the ice, the water, making the lemonade and that’s a threat to public safety and health,” he said. Part of Bonneau’s business teaches kids how to run their own lemonade stands. He also hires young entrepreneurs to run his stands. He said he believes there is a valuable lesson kids will not have the chance to learn if the bill becomes law: how to play by the rules. “If we exempt kids from these laws, they aren’t getting the full experience of starting up their own business,” Bonneau said. 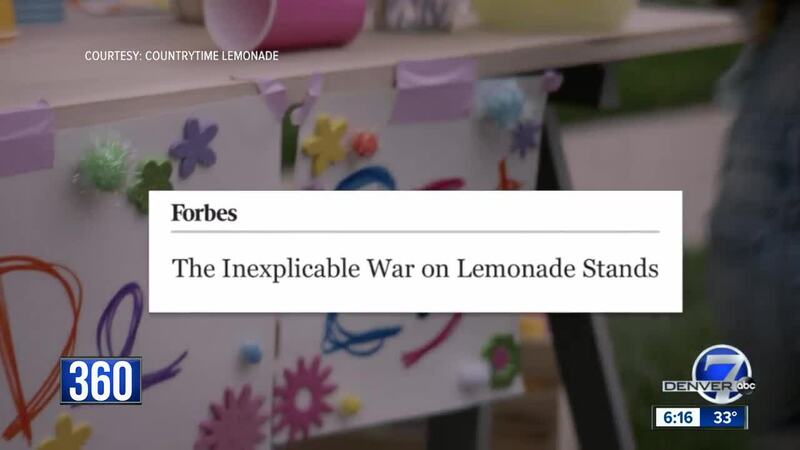 The bill could also hurt his business since more kids would be able to run lemonade stands without needing to jump through all of the hurdles he already paid for. “I also don’t really think it’s fair. I’ve gone through all the work just like all the other vendors above 18 to get the permits and licenses to operate my stand and then someone else can set up right next to me and they don’t have to do that,” Bonneau said. No matter how SB19-103 goes, these kids are already learning a valuable lesson about the struggles of running a business and how laws can affect it.